In Washington DC Wonder Woman is on the lookout for a battle while her handlers try to track her down. While she eats Ice cream with a little girl a boom tube opens up and she springs into action. In star labs Victor Stone’s father decides to use an experimental technology to save his son. 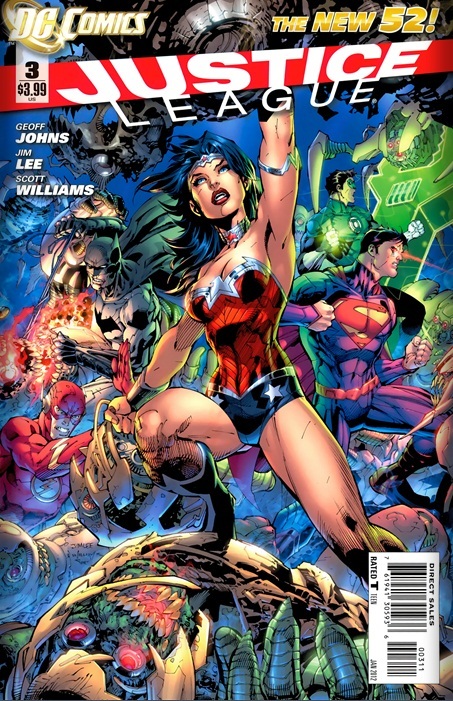 Meanwhile Flash, Batman, Superman and Green Lantern battle the forces of Darkseid. Wonder woman joins the fray as Victor Stone is transformed into Cyborg. 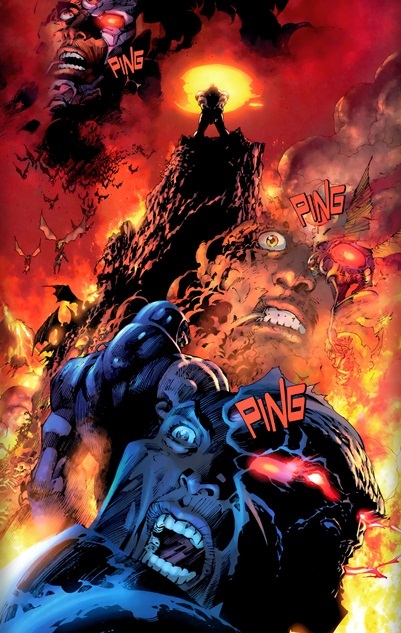 Immediately Cyborg senses Darkseid whose castle has appeared on earth and Darkseid senses him as well. Our heroes gather at the base of the monument and Aquaman joins the fray. Cover- The two covers by Jim Lee are gorgeous. Art- Jim Lee still turns in some of the best art in the business, simply gorgeous! Story- The first threat and formation of the Justice League is complete with all the members making an appearance. Action- This issue ramps up the action big time with the fight carrying the whole comic from start to finish. I like the dialogue and the new spin on these classic characters. Cover- The Alternate cover is hideous!